A Which? investigation has found big differences in how much packaging is recyclable at different supermarkets. We ordered a basket of 27 of the most popular own-brand groceries from 10 of the UK’s biggest supermarket chains. We unwrapped them, weighed them and brought in an expert to help sort and analyse it all. Watch our video to find out more, and scroll down to find out what supermarkets and the government are doing to reduce plastic waste. For the full table of results, visit our guide to supermarket plastic packaging. Seedless grapes: While most of the seedless white grapes came in widely recyclable tubs with a non-recyclable film lid, those from Ocado, Waitrose and M&S came in a recyclable tub covered with an all-over non-recyclable plastic wrapper. Apples: Ocado packaged its apples in bubble wrap (which is recyclable at collection points, but not at kerbside) while M&S and Waitrose packaged their apples in a type of plastic film which is also recyclable at collection points – although they both wrongly labelled it as non-recyclable. The other seven supermarkets wrapped their apples in non-recyclable plastic film, with Lidl and Tesco also including a widely-recyclable card tray for their apples as well. Beef mince: Aldi, Iceland and Lidl all packaged their beef mince in black plastic which is not usually recyclable. Waitrose packaged its beef mince in a non-recyclable plastic wrapper. The other six supermarkets all used widely-recyclable clear plastic trays with non-recyclable plastic film lids. Lamb chops: Iceland, Lidl and M&S all packaged their lamb chops in hard to recycle black plastic trays, whereas the other seven supermarkets all used widely-recyclable clear plastic trays which non-recyclable film lids or coverings. Salmon fillets: Ocado and Tesco’s salmon fillets came in hard-to-recycle black plastic trays. Iceland’s salmon, which was different as it was frozen rather than fresh, came in a non-recyclable plastic pouch in a widely recyclable cardboard box. The remaining seven supermarkets all used widely recyclable clear or blue plastic trays with non-recyclable plastic coverings. Some groceries had non-recyclable packaging whichever supermarket they came from. All the packaged easy peelers, for example, came in orange nets with plastic labels which are not just unrecyclable – they can also cause huge issues if they wrongly end up in a recycling sorting plant by risking getting caught in the machinery and causing a breakdown. We were surprised to find huge inconsistencies in the labelling of recycling information. Different systems of labelling were used. Some items weren’t labelled at all. Others were incorrectly labelled and still more had labels which were only visible once the food was unwrapped – not helpful to those trying to make a considered choice in the supermarket aisle. Why do supermarkets use plastic? While the idea of plastic-free food shopping sounds appealing, there are complex reasons behind the use of plastic packaging in supermarkets. Plastic food packaging serves a number of important purposes – it helps protect food from damage, it makes food more visually appealing for consumers and it helps it last longer. And these are important factors. Food has a significantly higher carbon footprint than the packaging it comes in. Experts say food waste generally produces three times as much carbon as packaging waste. All the major supermarkets in the UK have pledged to do more to reduce the amount of non-recyclable plastic packaging they use. But Which? 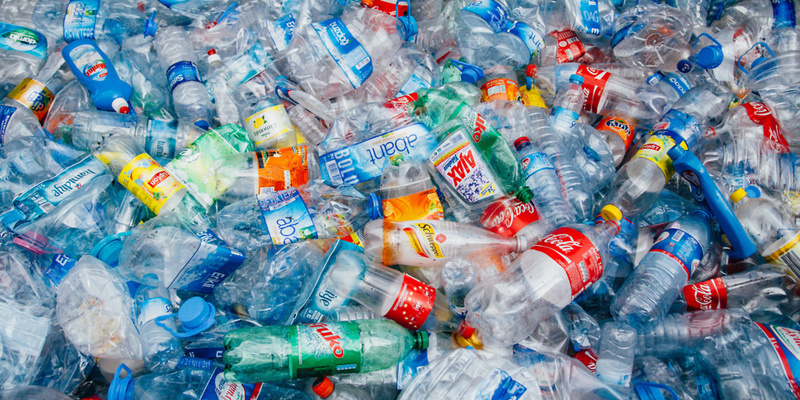 is calling on government and manufacturers to simplify and clarify current recycling labels, and make recycling labelling compulsory on all plastic packaging, so that consumers know what can and can’t be recycled, and how. How do members of the public rate the major UK supermarkets? Read our guide to the best and worst supermarkets to find out. The government plans to achieve ‘zero avoidable waste’ by 2050 with a series of initiatives, including a deposit return scheme for plastic bottles, where you pay deposits for single-use drink containers and get the money back when you return them. Michael Gove, the secretary of state for the Department for Environment, Food & Rural Affairs, said that the government was also working with retailers on initiatives such as plastic-free aisles. He added that they were also looking at innovations in materials, products and processes to help eliminate waste. But Which? thinks there is a lot more that could easily, and quickly, be done. We are calling on government and manufacturers to simplify and clarify packaging labels, and make recycling information labelling on all plastic packaging compulsory. Almost seven out of ten shoppers (67%) say the recyclability of packaging is important to them when choosing what to buy, but only 15% of people have decided not to buy something in a supermarket because its packaging could not be recycled*. With differences across local authorities and a host of different packaging labels, recycling plastic can be confusing. Visit our guide to how to recycle in the UK to find out more about the different types of plastic and how to dispose of them responsibly. Reuse or avoid if possible: While recycling is great, there’s still an environmental cost involved. It’s much better to reuse plastics if at all possible or avoid them all together. Could you put leftovers in an old ice-cream tub rather than wrapping them in cling film, for example? Could you use a refillable water bottle rather than buying a single-use plastic one? Empty and rinse: If there’s residual food waste left in your recycling, empty it and give it a quick rinse. Don’t wash too thoroughly as you will risk undermining your environmental efforts by using unnecessary water and energy. But do make sure nothing will leak. A half-full can of baked beans, for example, risks contaminating porous materials such as paper and card in the same recycling load, and rendering it unrecyclable. *We quizzed 2,155 members of the UK general public about recycling in May 2018.